About: Alpha Omega Publications is a Christian company that is teacher led learning. Their Horizons 1st Grade Phonics & Reading Set is wonderful. It comes with a teacher guide book, two student workbooks, and two reader books. 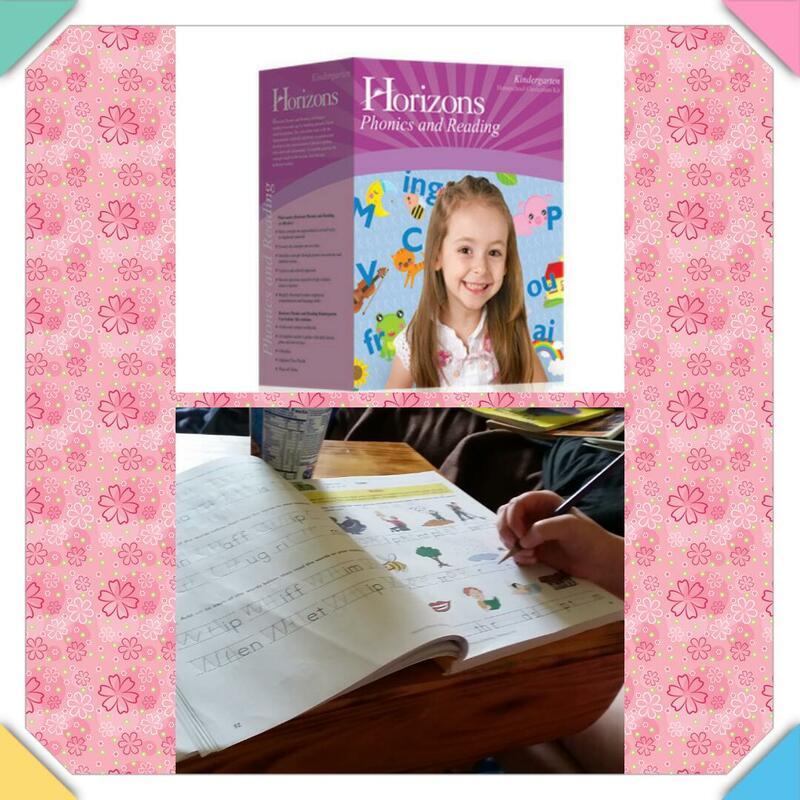 The workbooks contain a total of 160 lessons on consonant digraphs, vowel diphthongs, and etc. All is printed on bright colorful and engaging worksheets. The teachers guide has your daily lesson planner. Everything is clearly written out on what to do each day as well as any supplies you will need and activities you can do. The teachers guide also comes with additional worksheets to use for review, the duplication masters and the answer keys. While using this we spent about 45 minutes to an hour each day working on it. Though some kids may not take as long. We tried to go slowly each day and work until I knew the lesson had clicked well with her. For years we have tried all different kinds of things to help my dyslexic daughter read. Somethings we would boast about as she would start out showing great improvement in her reading skills. Though, after a long weekend, or even a hard lesson we would seem to have lost all progress. I have become very bitter with dyslexia for this reason. Now I have had the chance to try out Horizons and I was super excited. It's not something that I have been able to get yet. When the books come in I was a bit overwhelmed with it. I thought to myself that she would never give it the chance after seeing that there are 4 books. I read over the teacher book and started to calm myself. One lesson a day it says. One lesson is doable, it's not to much and won't make her feel overwhelmed herself. The next day we sat down and went over lesson one. We went over what the lesson was about and jumped right in. After each lesson we read the story that goes along with it. I love that it reminds you the child is not expected to be able to read the book till later on in the lessons. We have not had any melt downs doing one lesson a day, Monday through Friday. Each lesson builds on its self and the pages all teach one idea. This was perfect. I love how you spend one day on ONE thing. For the dyslexic mind this is a very good thing. She was able to sustain focus and not have to change up what her focus is in the middle of a lesson. I am really excited to continue working our way through the lessons and hopefully we will reach the point that she is able to read the stories to me instead of me reading them to her. I believe this curriculum is good for any child that is learning to read or even struggling to read. A child that may need a slower paced program that allows them to focus on one thing at a time. I also loved that it includes everything you need to get through the lessons. There is minimal to no teacher/parent prep on any of it. It is easy to work at your own pace as well, if you feel you need to move along at a different speed. Also be sure to check out my fellow crew as they reviewed other grade levels as well as different subjects. Some of them might interest you as well.